Old Spitalfields Market 4.8 out of 5 based on 5 ratings. 5 user reviews. 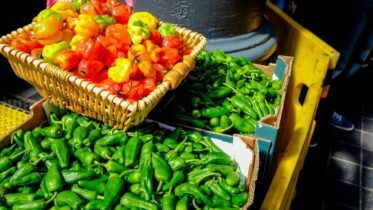 From its small beginnings in the 17th Century as a simple farmers market, Old Spitalfields Market has blossomed into one of the most vibrant and diverse places in the whole of London. The Spitalfields area was once regarded as the cities “foulest and most dangerous street.” Jack The Ripper stalked the alleys and killed his victims around here and it was synonymous with the activities of thieves. However modern times showcase a diverse and culturally rich metropolis where you can enjoy exciting one-of-a-kind boutiques as well as a whole array of delicious world food. 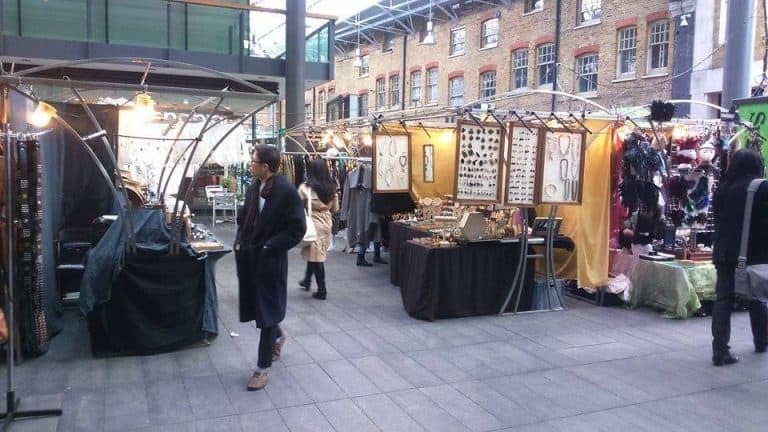 Old Spitalfields Market is open seven-days-a-week with specialist market days and one off monthly events designed to keep its visitors entertained all year round. 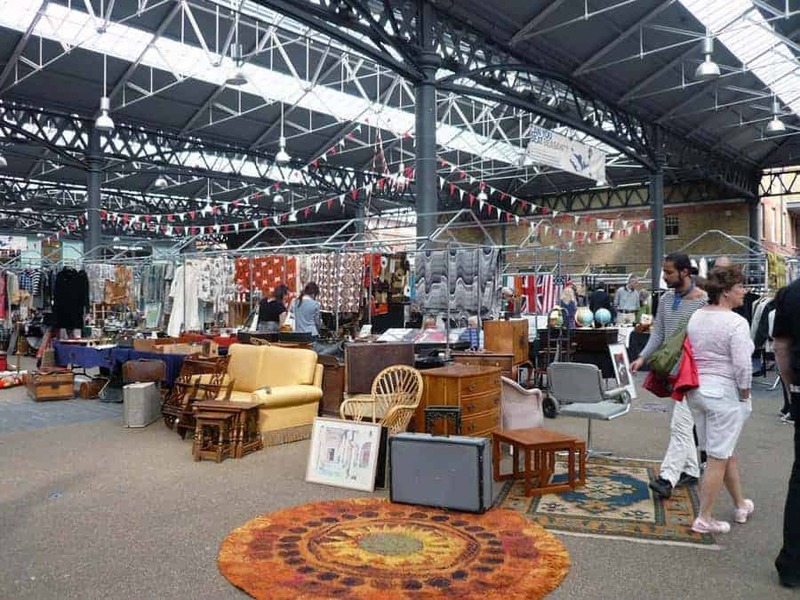 With its covered roof, not even the elements can dampen your spirits as you rummage around the eclectic mix of antique gems, vintage fashion and fine art dealers. 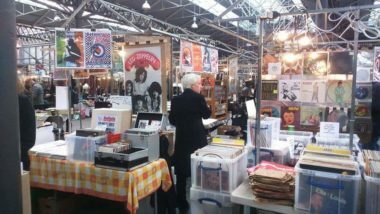 It doesn’t take long to immerse yourself in what Old Spitalfields Market has to offer, from vintage vinyls cut and made into wall mounted clocks, antique walking sticks or old fashioned shipping maps, to endless rows of quality sterling silver jewellery. 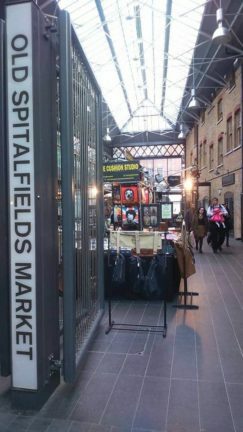 It is no wonder thousands of Londoners and tourists alike find the perfect gifts for all occasions at Old Spitalfields Market. The scenery walking to Old Spitalfields Market from Liverpool Street Station displays the Olde English charm, narrow alleys steeped in history opening up into the modernized development, housing over 150 stalls, dozens of up market restaurants and street food vendors from across the globe. As well as the market stalls, the building is home to a number of local businesses. Hairdressers and high end fashion boutiques adorn the outer walls. Local tailors can fit you with the perfect suit, a dedicated cheese shop boasts the best selection of cheese this side of Paris and also the original flagship store of All Saints overlooks the main entrance. 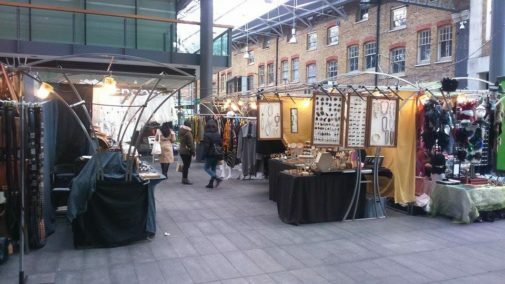 What’s On At Old Spitalfields Market? 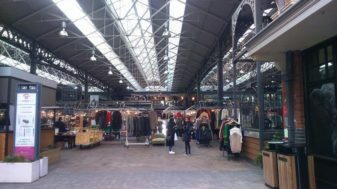 Old Spitalfields Market is no longer just a Sunday destination, it has evolved into a tourist hot-spot offering a variety of themes and events through the weeks and the year. 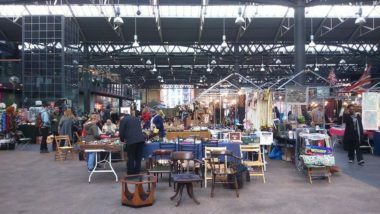 Each and every Thursday is Spitalfields Antique Market. 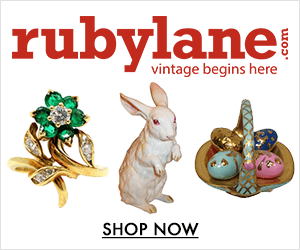 Offering a breathtaking mix of vintage collectibles and antique treasures. Fridays are specifically tailored for the clothes shoppers and art lovers with haberdashery from around the world and priceless designs of inspiring local talents. It is also the perfect day to walk around Old Spitalfields Market and inspect the wide range of public art which is displayed outside the market. And also vinyl lovers won’t be left wanting as the first Friday of each month sees a record fair come to the marketplace where dealers from across the city bring high quality and rare vinyl records to the center. Bargain hunters can quickly bolster their collections and the more serious collector can find the rare gem they were hunting for. Prices can generally stand a little high, especially when it comes to items that attract tourists but as it is (so often) the case – negotiation is key. 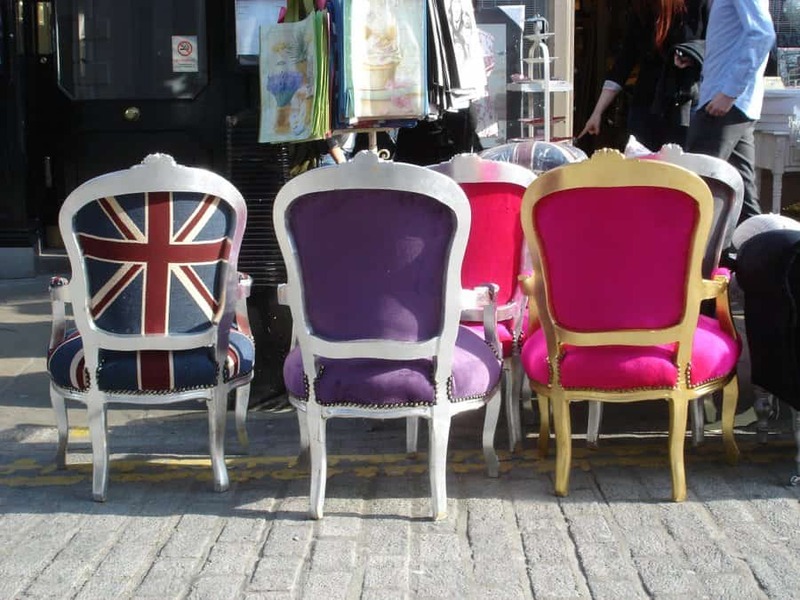 Saturdays at Spitalfields are themed throughout the year each week, from affordable vintage and fashion designers to the finest of Old Spitalfields Market traders. Beer festivals happen each season giving visitors the chance to taste some of the city’s newest Craft Beer inventions whilst browsing the stalls. 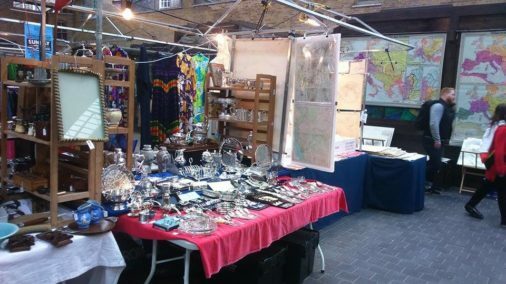 There are also regular Swing Festivals, Tango evenings and a whole host of events aimed to celebrate the rich history and culture surrounding Old Spitalfields Market. 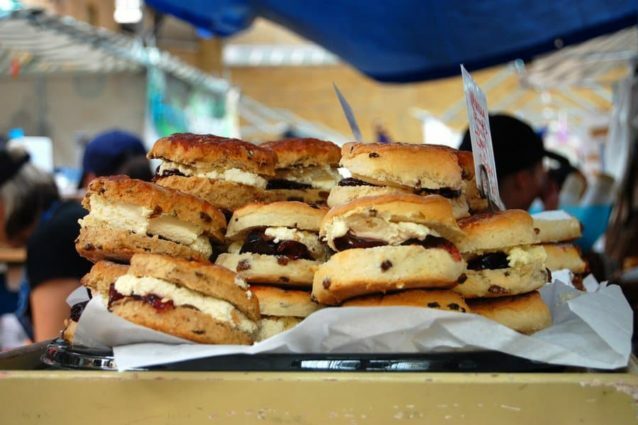 Sunday is the busiest day at Old Spitalfields Market and has something for the whole family on offer. 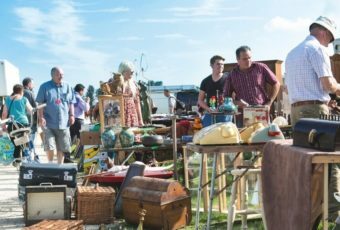 From high quality leather goods and custom made clothing to antique toys and games, on this day you can be assured that stall owners have a wide range of items ready, that suit simply every taste. 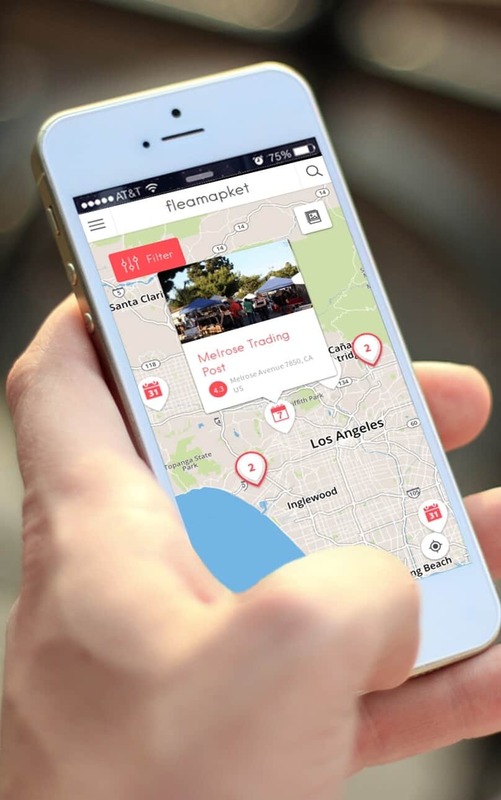 With entertainment for the whole generation, you can be certain that a good day out is enjoyed. And for all the Magpies out there – get ready to lose yourself in the dazzling array of affordable jewellery on offer. 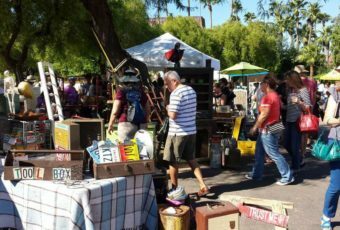 Monday through to Wednesday are general market trader days that are made for strolling around for hours to admire the vintage clothing stalls and niche boutiques. 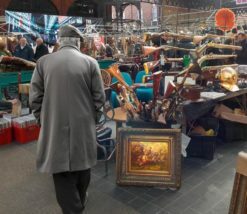 The regular stalls of Old Spitalfields Market during weekdays are a great place to find something of excellent quality and the quieter surroundings let the specialist art dealers emerge from the shadows like the Ripper himself. Tease your taste buds and relax from browsing the stalls with the huge selection of traditional restaurants as well as high class exotic street food vendors inside the market hall. 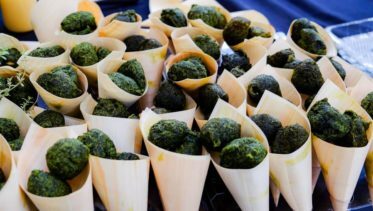 From London’s most famous fish and chips shop to modern French cuisine and Asian Fusion, this is a place for everyone to unleash their inner gourmet. Bleecker Street offers one of London’s finest New York style burgers whilst Square Pie deliver truly classic English fayre with delicious pies and mash made in heaven. If you are more on the sweet tooth front, make sure not to miss the mouth watering selection of sumptuous cupcakes the Flavour Town Bakery has to offer. 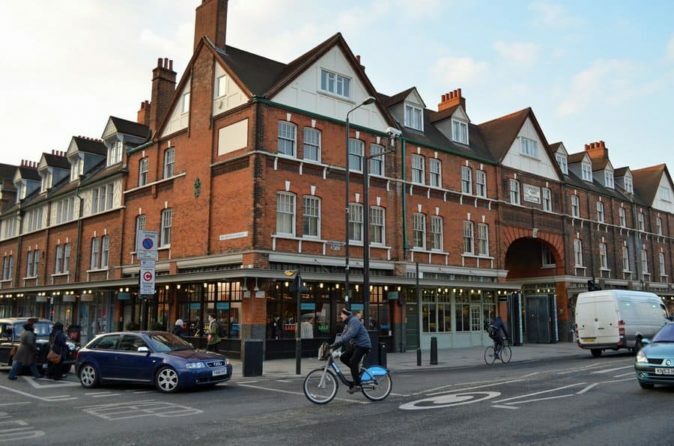 The many award winning restaurants and cafes in Old Spitalfields Market are quickly becoming East London’s top spot for eating out and attract weekly thousands of foodies from around the globe. Wine bars and modern pub food offer a relaxing escape from the busy market floor, where family friendly eateries and delightful cafes offer a more peaceful environment than the sometimes very busy benches provided for the street food vendors. Since 2005 the Spitalfields Estate has funded an art program bringing Old Spitalfields Market into the modern age. Works from artists of the Royal British Society of Sculptors as well as rare pieces of recent graduates from the top art schools in London are on display and well worth seeing. 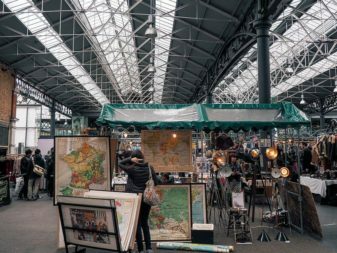 Built in 1876, the market place itself is a work of art and the wit and inimitable charm of the place makes it to one of London’s most recommendable hangouts and a must visit destination for any tourist and London inhabitant alike. Born in Middlesbrough, Andrew was studying music performance in Manchester and developed a strong interest for vinyls, rock music and guitars. After living in London for over 3 years, he is now living and working in Vienna. 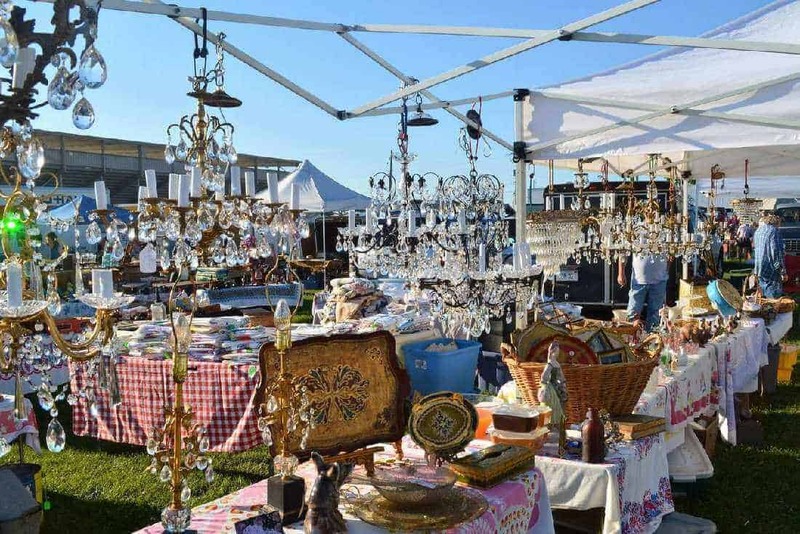 Andrew is a huge vintage fan and an be found at flea markets all over the world. He loves places filled with curiosities and is always on the hunt for that perfect vinyl.